Carrera GT … How Many Left? The Carrera GT has become a hot commodity lately. Prices down from the 2015/16 highs are on the rebound. The PORS9 database contains all 676 North America Porsche Carrera GT’s – how many are left undamaged? How many have left our shores? We have updated our Experian Autocheck data and are sharing summary info affecting the remaining supply for the North American market – including specific VIN data for Exports. Our comment: A true supercar with the snap to match – the Carrera GT with the pedal down is not for the meek or inexperienced – either notion can lead to disaster. The result is an ever shrinking supply. Combine that with exports of cars to countries around the world and the North American supply of undamaged cars is down nearly 15% from its start. … we have PORS9 members actively looking for CGT’s … please contact us about the market opportunities for your car – PORS9 commands the best prices at the lowest cost. Contact us to find out if your CGT is Salvage or Accident! 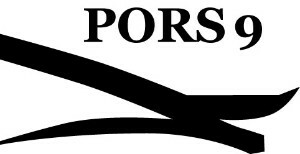 Click on the vehicle to view the PORS9 database listing. Contact us if you require more information on any of these export vehicles! Join the Email List – Get Our Latest Vehicle Stats and More!